ATLANTA, March 8, 2016 – Former UGA tennis star and No. 1 American male tennis player John Isner will try to join fellow ATP stars Roger Federer, Rafael Nadal, Novak Djokovic and up-and-comer Kei Nishikori as one of the only active ATP players to win four consecutive titles at a single tournament when he takes to the Atlantic Station courts at the BB&T Atlanta Open July 30-August 7. Isner garnered his three past singles victories at the BB&T Atlanta Open over Marcos Baghdatis in 2015, Dudi Sela in 2014, and Kevin Anderson in 2013. Ranked as one of the top players in the world at No. 11, the former UGA champion is the highest-ranked American male for the past four years. Ticket packages for the only ATP event in Georgia go on sale today – World Tennis Day. The goal of World Tennis Day is to promote the sport of tennis and the increasing tennis participation around the globe. The fourth-annual World Tennis Day features an evening showdown at Madison Square Garden tonight between Caroline Wozniacki and Serena Williams. In addition to Isner’s commitment to the 2016 BB&T Atlanta Open, the event also includes former top 10 ranked player, and one of People Magazine’s “Most Beautiful People” and Glamour Magazine’s "Hottest Male Tennis Players Of All Time" Fernando Verdasco. The Spaniard heartthrob has won five ATP events, most recently at the 2014 US Men’s Clay Court Championships in Houston. 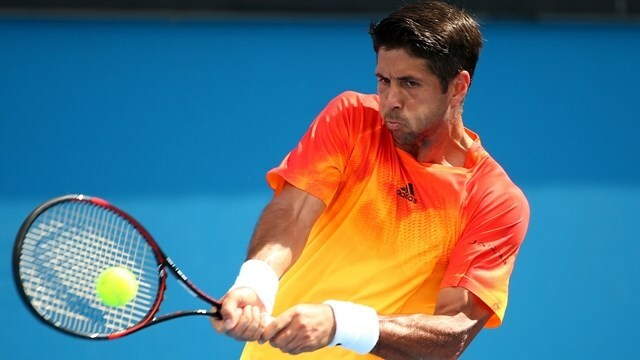 Additionally, Verdasco handed former world #1 Rafael Nadal his first opening–round exit at the 2016 Australian Open in a dramatic five-set contest in January. “Obviously it's always a pleasure to play in Georgia and to compete at the BB&T Atlanta Open where I feel at home and have won three straight singles titles,” said John Isner. “I can't wait to get back on court at the fabulous Atlantic Station venue and to see so many familiar friends and faces." The BB&T Atlanta Open is held each year in July in Atlantic Station and is one of eight summer tournaments in the Emirates Airline US Open Series. The tournament features men’s top world tennis players in singles and doubles competition. Approximately 40,000 fans attend the tournament and bring an estimated economic impact of $10.3 million to Atlanta. John Isner holds the 2015, 2014 and the 2013 titles. Andy Roddick won his last ATP World Tour title when he defeated Gilles Muller at the 2012 BB&T Atlanta Open. Mardy Fish holds the title for 2011 and 2010. After the successful completion of the BB&T Atlanta Open in August 2015, GF Sports, LLC, a newly formed integrated event content company, formed by the New York-based financial management company GF Capital Private Equity Fund, and its founder Gary Fuhrman, along with long time sports executive, Jerry Solomon and his Lynnfield-based company, StarGames acquired the tournament. GF Sports has committed to reinvigorating the BB&T Atlanta Open brand and bringing a World Class Field-World Class Fun to many local, regional and national tennis fans for years to come.